I just answered some questions for someone writing an article about pianists and hiring pianists. And I had a lot of fun answering the questions and thought -Wow! I should do a blog post because they would help anyone hire a pianist. : ) So…here goes!! 1. What should anyone consider when looking to hire a pianist? Exactly what effect are you trying to create by having a pianist? How could a pianist help you do it? And then simply communicate that to the pianist. And see if he can “get it”. 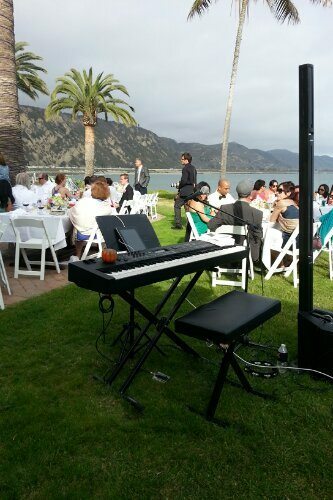 Experience, Repertoire, And Suitability of the pianist to help you make your party or even perfect. Experience: the more that someone has done the more likely they are to be able to help make the event even more awesome by adding appropriate “content” that is going to put it over the top. Because they have done it before and similar situations. They will know what has worked and what hasn’t. Repertoire: this is very determined by what you want. If you want 50s rock and roll then the person will need to know a lot of it. Or Standards or even very contemporary. Someone who has a large repertoire and plays a lot will be able to cover any of these bases. Or you can find someone who specializes in the niche that you are wanting. Make sure the pianist is strong in what you want at any rate. Overall what’s needed. The more I know about..the theme, the group I’ll be playing for etc.. the more I can tailor to exactly what’s needed or even determine what will work. 2. 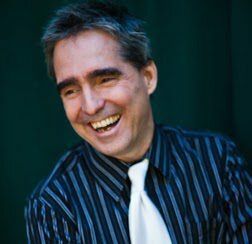 What questions should you ask a pianist that they are considering booking? Rates of course are important but not everything. You can possibly find someone who will play for less but it’s going to be totally worthwhile to make sure you get someone who can really deliver what you want. You should consider the experience of the artist and also find out what they like to do. You may want someone who plays classical piano and you make want a rocker….You can find the kind of strengths the pianist has by asking what sort of gigs they have done and how they went. 3. Once someone books you for a performance, what details should be discussed prior to the event? Address? This is almost too silly to mention but I have done a gig where I assumed that I knew where the client lived based on our conversation when I got there I found out that I did not. Tricky! I don’t recommend the experience. What time should the pianist be there? How long will it take to set up. 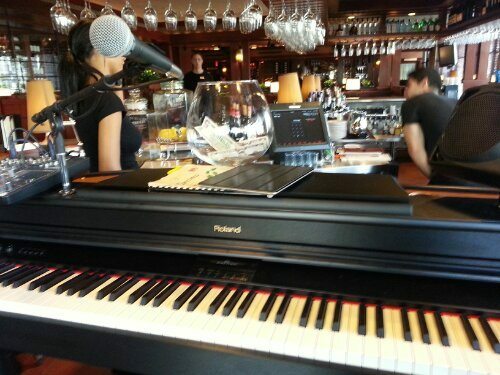 Is it a key board and full PA or is there a piano that just needs to opened up and start playing? What time to start playing? What time to end. I like to know if there will be any breaks built into the gig so I can think with that. I would rather play longer sets that work better for the pace of the event. Than just play :45 and then off :15. What dress you would like?What will fit the bill. As a rule by the way for the pianist I always try to go a little nicer than they expect. Just to keep the professional edge. Other important info…where in the venue will they be playing? As a note it’s better to put the pianist close to the action. Music is for people and someone interacting on any level will be better than someone who is not. Is there a piano in the room? Or is a keyboard needed? How big is the space? Is it inside? Outside? Parking: where to park? Any peculiarities about the gig–the ” load in” is it on the beach or whatever? Are there stairs to deal with? How many people will be there? How big is the venue?This could change the speaker set up or if there are speakers needed? What songs would you really like to hear?As specific as possible. How to get paid. ie. Mary will pay you at the end of the evening? 5.What sort of gigs do you play? I love parties. I love December because I play almost every day and often twice a day. It’s wonderful. And music is a beautiful and awesome part of the spirit of entertaining. People hanging out in a house together and meeting is already awesome. but add Music-it can be really memorable and more meaningful and alive and beautiful.. And we all need more beauty in our lives. 6. What other kinds of gigs do you play at? I play for people every chance I can. 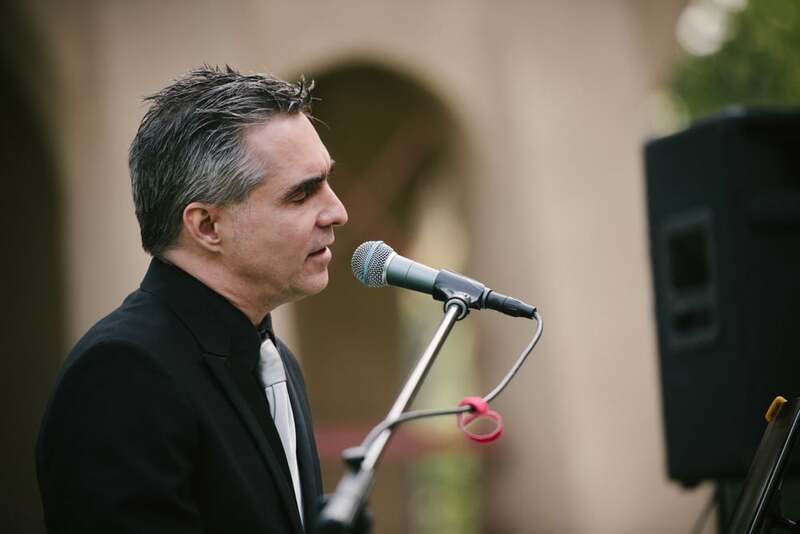 I play in bars and restaurants and swap meets and have played at farmer’s markets, churches and synagogues, mausoleums and in malls! Wherever people are! : ) I’ve played Birthday Parties, Concerts, Fundraisers, Weddings, Anniversary celebrations. Bar Mitzvahs, Naming ceremonies, any special occasion is more special with amazing music. 7. Why does a pianist work well at these kinds of events? Pianists can create a whole orchestra on the piano. It’s got a huge range and can be applied to all kinds of music successfully. It’s a beautiful instrument and class and character. It can really do so much. It can be raunchy and boisterous and it can be subtle and sublime and anything in between. 8. What other advice do you have for people booking a pianist? Talk to the pianist and get to know him a bit. If you like him he’s probably going to do well by you. You have to be pretty good and cool to make it in this “business”. So anyone who’s been at it a while and makes their living at it is going to be good.